Wooooooooooooot! Mga ka Tweeter! Rejoice and Join! I can't believe the luck of the Pinoys! Acer Phils. launches Twitter campaign for “The Dark Knight Rises”. 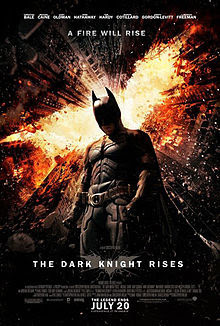 This latest movie is labeled as the epic conclusion to the “Dark Knight” film series of director Christopher Nolan, which started with “Batman Begins” back in 2005 and “The Dark Knight” in 2008. Acer Philippines, Inc., the local office of one of the world’s most trusted computer brands, is happy to announce that it will give away movie tickets to Manila, Cebu and Davao residents. Where: Glorietta in Manila and at SM Cebu and Abreeza Mall in Davao on July 20, 2012. Screening starts at 7PM. Participants just need to follow the Acer Philippines Twitter account by tagging (@AcerPhils) and hashtag #BahalaNaSiBatman to be able to join the raffle and win tickets. Only one entry per person is allowed and can win only one pair of tickets. After following the Acer Philippines Twitter account, simply tweet a message relating to Acer Philippines and “The Dark Knight Rises” movie to be able to qualify. In their tweet, users should indicate their location. For example, tweeters from Manila should indicate “#MNL” while for Cebu, it’s “#CBU” and “#DVO” for Davao. Followers will then be contacted by the agency for complete registration details. There will be Twenty Five (25) pairs of tickets up for grabs for lucky tweeters in Manila, Cebu and Davao. Promo will run from July 12 until July 16. Visit the Acer Philippines Facebook page (www.facebook.com/AcerPH) or Twitter (twitter.com/acerphils) for more details. Since its founding in 1976, Acer has broken barriers between people and technology, enabling users to explore, create and grow. Acer ranks No. 2 for notebook PCs globally (Gartner data 2011). The Acer Group employs 8,000 people across the globe, and revenues for 2011 reached US$15.7 billion. Acer’s channel business model is instrumental to the company's success, while its multi-brand approach integrates Acer, Gateway, and Packard Bell brands in worldwide markets. Acer designs environmentally friendly products and, with its vendors, has established a green supply chain. Acer is proud to be a Worldwide Partner of the Olympic Movement. That includes supporting the Vancouver 2010 Olympic Winter Games and London 2012 Olympic Games. More information is at www.acer-group.com.